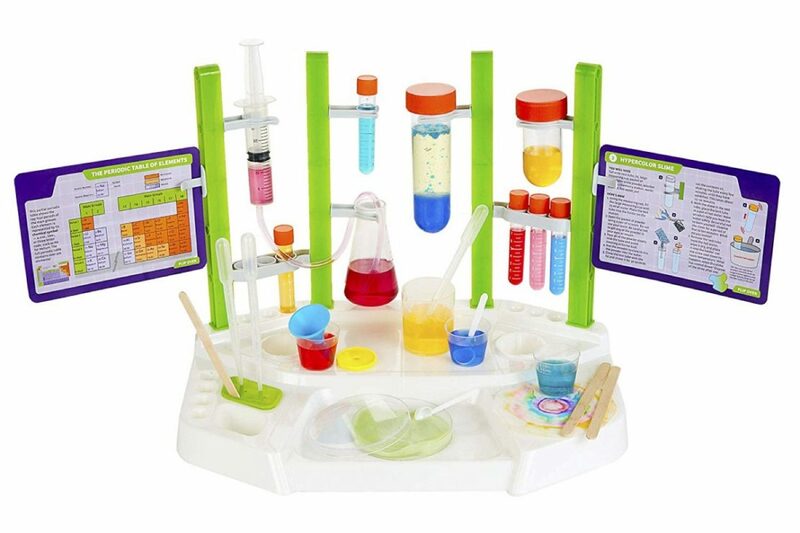 Ooze Lab Chemistry Station | Happy Up Inc.
Goopy, slimy, sticky chemistry experiments! 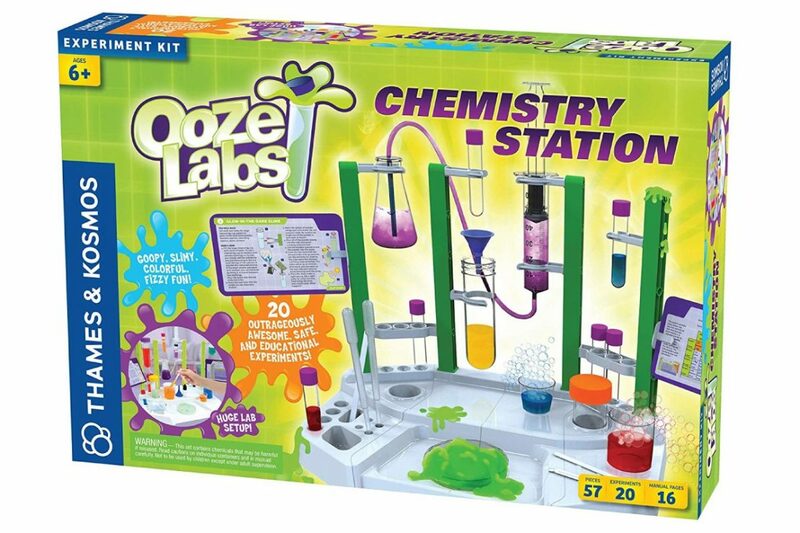 Step into the lab and embark on a fizzy, colorful, slimy, and bubbly adventure! 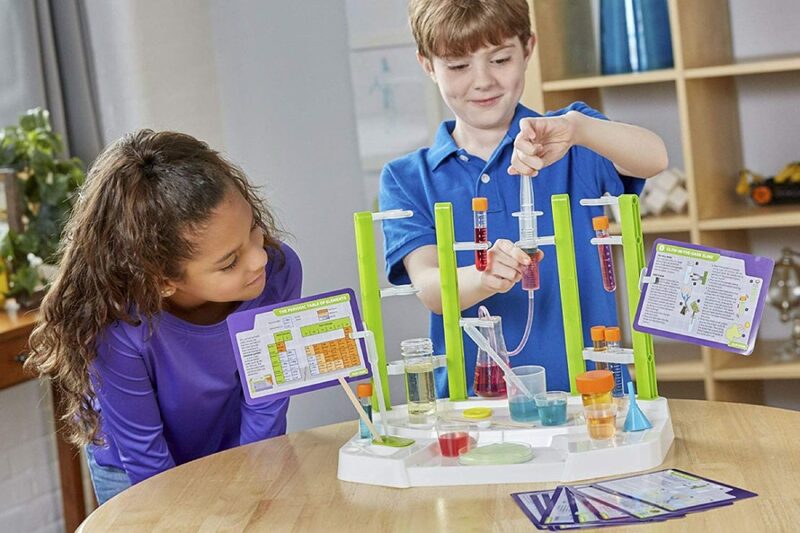 This chemistry set comes with the tools and vessels you’ll need to combine chemicals and observe the reactions. Experiments include: glowing slime, fizzing reactions, oozing bubbles, rainbow in a test tube, and an underwater volcano! The set comes with non-hazardous chemicals, vessels, syringe, measuring cup, pipette, spatual, tube, petri dish, funnel, experiment cards, and manual. Additional common items will be needed to complete the experiments (scissors, tape, corn starch, baking soda, milk, magnifying glass, etc.) and are listed in the manual on page 2.